Starfield was announced at Bethesda’s E3 showcase earlier this week, accompanied by only the briefest of teasers and a logo. It’ll likely be a long while before we hear more, and even longer before we get to play it. It seems we should take the assertion that Starfield is “next-gen” seriously. Does “next-gen” mean there’s an improved engine or that the game will launch after a new set of console platforms? 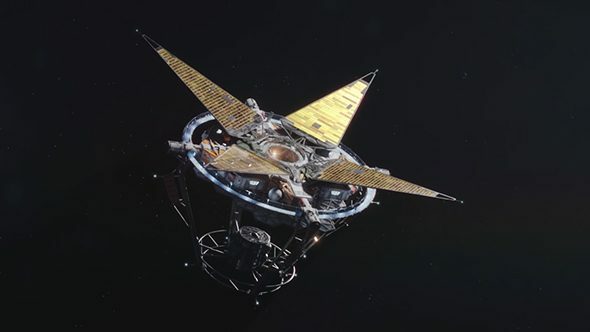 Director Todd Howard says “it’s a bit of both.” He adds that while “it’s not out of the question” that Starfield will launch on PlayStation 4 and Xbox One, “there is a question” – and it’s one the studio has yet to answer internally. The reach of our upcoming PC games list is starting to get very long. In the interview with GameSpot, Howard says that the team is not yet willing to “limit” the game by speccing for current generation hardware. Microsoft mentioned at its press conference that the next Xbox platform is in development, and the promise of a new console generation has obvious benefits for PC players, with a rising minimum spec for the biggest, mass-market games meaning that the high-end gets much better as well. Howard does warn that we’ll need to be “very, very patient” when it comes to more info on their next project. Starfield is playable – at least in sections internally – but we might reach the stars ourselves before we actually get to play it.